There are as many as eight best Apex Legends characters that are awfully amazing and heart throbbing, but which one of the really deserves to be the best. For Apex Legends players almost all Apex Legends characters are best in themselves as each legend is designed with special strengths in the game. Let us look at some of the great qualities of these legends and figure out the one which can be considered as the best character of the time. The functionality of the Apex Legends is similar to the characters of battle royal titles. You can pick any of the two characters and start comparing their strengths. You will be surprised to know as for how closely they have been designed and how similar they are. The prime difference between the two characters is that there is no solo play. In fact, there is not even a duos playlist. If you really want to play, you can play in teams of three with just one of each Legend allowed to play in each team. This peculiar composition of the team can be well understood by the players of Overwatch. The composition of the team is equally important for Apex Legends as it is for the Overwatch. Here is a short but concise apex legends characters guide that would make it easier for you to understand the qualities that make each apex legends character unique. Apex Legends players much are familiar with Bangalore which is the bog-standard soldier. She is designed with abilities in the form of grenade launcher that once launched can damage and emit a dense wall of smoke at the same time. The tactical skills of the soldier can be used to bombard enemies and blur their vision. Using the skills of the soldier the player can use fire and make a cover to move forward. As a trick, you can try and fire a smoke grenade into Caustic’s toxic gas to ditch the enemies and blur their vision so they cannot see you moving. It is a must to try strategy. Bangalore’s passive ability is Double Time where she has speedy running and gunning skills. She moves faster when shot while sprinting. You may not experience a jerk in her movement rather the speed that she hopes on is extremely fast. She moves extremely fast as well as dart similar to that of The Flash. The most amazing skill that she carries is Rolling Thunder. In case you have previously heard or experienced multiplayer shooters you will be able to gauge as what Double Time is capable of doing. As you play the game with this legend, you will experience a barrage of missiles raining down from the sky on the areas wherever she throws the beacon. In case you remember a scene from the Office in which Michael gives his best to live in the woods and succeeds in his own way, Bloodhound is all about the same. He is bestowed with tactical abilities to emit a short wave for identifying the location of the enemies in the immediate vicinity. The short way, however, doesn’t cover a wide area; still, it is a great skill as you can know as on which building the enemies are hiding. The ultimate tracking of the Bloodhound stays with you until the next level. The speed of tracking enhances within 35 seconds, the vision turns monochrome, and enemies and their footsteps are tracked in the red light of the short wave. The enemies tracked in the short wave turn into a stone cold predator. The players are provided with the option of either playing in the ‘Beast of the Hunt mode’ in which tracking of the enemy becomes easier, and if not, the player can choose to identify objects looted by the enemies. Caustic is one of the best apex legends characters that are unfortunately locked just at the start of the game. This means, if you want to play Caustic, you will either have to save up the Legend Tokens or fork out real life money to unlock him. Caustic is nothing but about toxic gas which you realizes when you start using it. The tactical ability of the Caustic is a trap that can be thrown just a few feet in from of the player. When encountered with the enemy, Caustic emits a toxic gas that damages the enemy in the close proximity. The only drawback with Caustic is that its traps stick prominently to the ground and thus are easy to spot. The ultimate ability of the Caustic is also the same with the exception that is capable of throwing a grenade and the wide area that the gas covers are quite large. The most crucial skills that compliment the abilities of the character are his passive ‘threat vision’ on any enemy who is foolish enough to wander around the gas. Gibraltar is great in him, though his abilities built is similar to that of the legends. His abilities, however, revolves around shields and protection. His ultimate ability is carpet bomb which when used can destroy an area with a huge explosion. The qualities that make this character a huge hit is his capability to ditch shots. He cannot be shot in the head even when he is aiming down the sights with the exception of them being behind you. A shield pops up automatically to safeguard Gibraltar’s face which comes as great protection especially at the time of combat. The shield is just like a dome shield that can save in a battle and shot your enemies better. But, with this shield that comes up as a huge bubble, you will have to exit so as to shoot back. Lifeline is the next legend character who is bestowed with the qualities of healing teammates. The player is deployed with a ‘drone of compassion’ as one of her top abilities. Using this ability, you can easily heal the injured players just like the Cozy Campfire in Fortnite. In case any of the players get to be knocked down, Lifeline can revive the player in a quick span of time as the shield walls are deployed for protection. The healing items used by her are in fact 25% faster. Talking about her Care Package, which indeed is incredible especially if your team has won a battle with your players all damages with bruises. The package uses a drop pod which is actually a defensive gear equipped with medkits, shield cells, and new armor as well as helmets. Lifeline, in fact, is the backbone of any team. 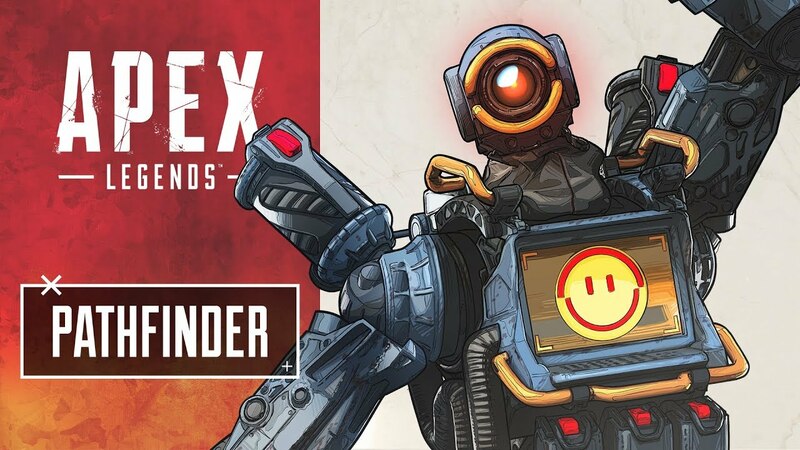 Mirage is also one of the best apex legends characters that may require you to fork out some Legend Tokens or Apex Coins, and he is definitely worth spending on. This particular legend character can help you fool the opponents and playing quietly. Mirage is one character that is all about decoys especially when he is hit hard by the enemies a holographic version of him automatically appears, and Mirage gets to clock for five seconds. The tactical abilities of Mirage send an independent decoy running everywhere he looks at confusing the enemies, especially during the battle. Vanishing act is one of his popular tactics for triggering on decoy swarm which deploys a host of decoys to confuse the enemies when he is around. The decoys, however, stands in a circle instead of running around and doing something really great stuff, anyway, they are quite useful in defying the enemies. Mirage can be exceptionally lethal when combined with Wraith’s Dimensional Rift and may help escape enemies as well. In case you didn’t get a chance to experience BT-7274 from Titanfall, Pathfinder legend is the character that can fill in the gap for you. The legend is not an ordinary character; its robotic build has hilarious and sarcastic characteristics that can be well equipped. But these qualities of Pathfinder will not really help you win the game. His grappling hook, however, is an ability that can lead your way to success. The hook doesn’t have a long reach still it is good enough to climb rocks and building to reach height. Pathfinder’s zip line gun is also a helpful tool for his teammates. The zip line gun works just like any other zip lines when used it takes up more prominent shape to allow anyone to read the areas that would otherwise be difficult. The zip line gun is also amazing for escaping the incoming ring or dividing into the middle of a battle. Pathfinder also comes with one of the most amazing passive abilities dubbed ‘insider knowledge’. Using his passive ability, he can interact with multiple survey beacons on the map while updating the map and helping his team to locate a safe zone. In short, using the passive ability, the player can reach the next area that is safe and can easily defend the team. Wraith previously appeared to be the most dominant Legend owing to her powers to invisibilities. Her tactical abilities let to wander ‘into the void’ which is as fascinating as seeing her going invisible for some time amid a trail that keeps following her. But, her abilities do not help her hide, and her enemies are able to easily identify her location but not her. Wraith’s ultimate ability is Dimensional Rift which she can use to place down two portals connected to each other. Anyone can travel between the portals whether it is foes or teammates. It requires certain skills to master the art of hiding the two portal doors. In case you are able to do so then you can easily get in and out of a battle especially when you need to heal. The portal doors, however, last for 60 seconds only. Her passive ability is an omniscient voice that speaks to her on and off the game to alert her of any nearby danger. The passive ability allows the player to be in a better position especially on the defending point and when you do not know the exact location. The quality can definitely help in winning an extra edge in the game.